Update 3/9/2017: This combed and clumped beautifully, like all other products with these ingredients. The scent on this Herbal Essence conditioner seemed less sweet to me (which was sort of a relief, since these products are often all so super sweetly strong), but maybe my nose is warped or something. 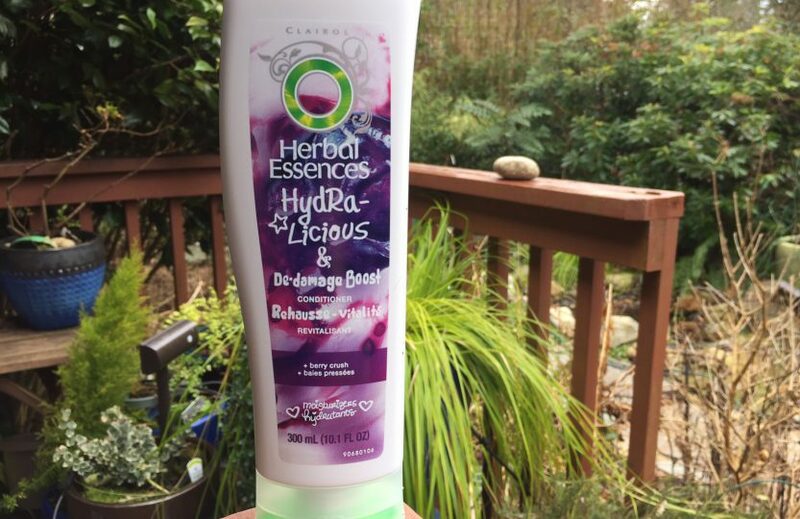 2/18/2017: Herbal Essences Hydra-Licious & Damage Boost Conditioner is another conditioner in the Herbal Essence conditioner line. It has identical ingredients to the other Herbal Essence conditioners, except other conditioners have varying tiny amounts of “consumer appeal” ingredients added, such as exotic sounding oils or fruits or whatnot. But what does the work of the product are the ingredients near the top of the ingredient list. My rule is that if a product has the same ingredients as other products in the same line that I’ve tried before, then I’m figuring this is the same product in a different bottle and with a slightly different scent (and maybe different coloring). I’m most likely going to try it this weekend, and if my theory of it being the same conditioner as all the other Herbal Essence conditioners, just a different bottle, is incorrect, I’ll let you know. But otherwise, I don’t plan on this being any different from all the others. Which is fine, because this is one of my favorite formulations for combing and clumping so far. If my combing goes well, I’ll also tag this as a go-to conditioner, which means the best conditioners I’ve found so far for combing and clumping. Oh, I know you know this already, but of course no product, no matter what it claims on the bottle, can repair damage to your hair. The only way to repair damage is to avoid doing it in the first place. Think about it. This has identical ingredients to all the other Herbal Essence conditioners (with others adding perhaps a teeny amount of oil, or a different fragrance added). Why is this the only conditioner making this claim? Especially since this product has no doo-dad ‘consumer appeal’ ingredients added to it (such as oil) unlike the others. That isn’t to say all these conditioners aren’t great. They are. They are my some of my favorites (so long as they don’t sneak in sodium hydroxide). But just don’t be fooled by what marketers write to please the company that hired them to make a pretty label that has nothing to do with what’s actually inside the bottle.